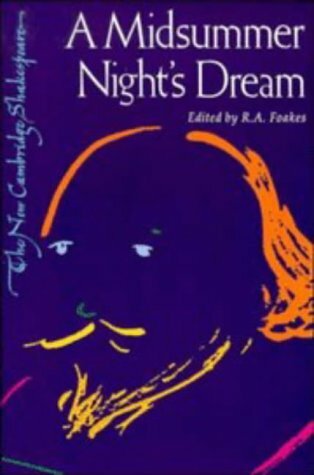 A Midsummer Night's Dream is a romantic comedy by William Shakespeare, written around 1594 to 1596. It portrays the adventures of four young Athenian lovers and a group of amateur actors, their interactions with the Duke and Duchess of Athens, Theseus and Hippolyta, and with the fairies who inhabit a moonlit forest. The play is one of Shakespeare's most popular works for the stage and is widely performed across the world. The plot follows the relationship between Cleopatra and Mark Antony from the time of the Parthian War to Cleopatra's suicide. Many consider the role of Cleopatra in this play one of the most complex female roles in Shakespeare's work. The play recounts how Prince Hamlet of Denmark exacts revenge on his uncle, who has murdered Hamlet's father, and taken the throne and married his mother. Shakespeare vividly charts the course madness: from overwhelming grief to seething rage. by William Shakespeare - H.M. Caldwell Co. The story about two teenage lovers whose tragic deaths ultimately unite their feuding families. It is among Shakespeare's most popular and most frequently performed plays. The title characters are today regarded as archetypal young lovers. This is one of the most popular of Shakespeare's plays, and is one of the most frequently performed plays of all time. Full of violence, murder, ghosts, ambition, blood, revenge, guilt, and madness, Macbeth is also one of the most influential works.